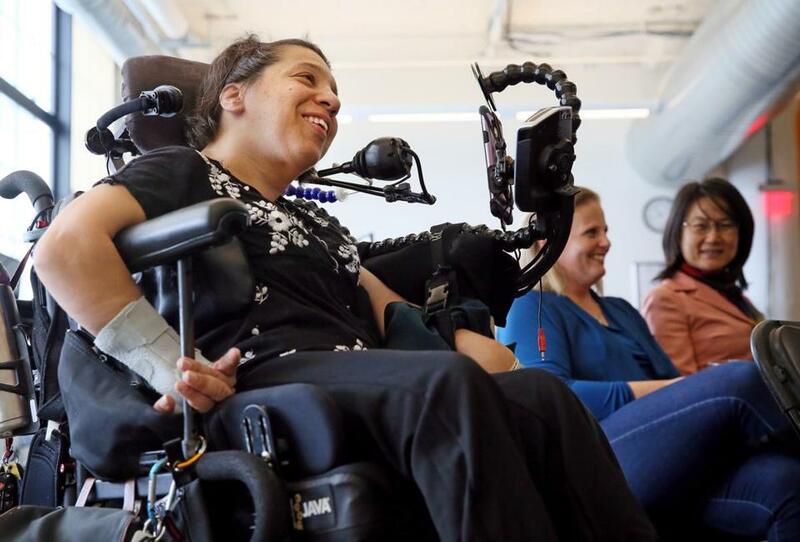 Speaking at a HUBweek panel, Puffin Innovations CEO Adriana Mallozzi said disability has forced her to be innovative in her daily routines and tasks. 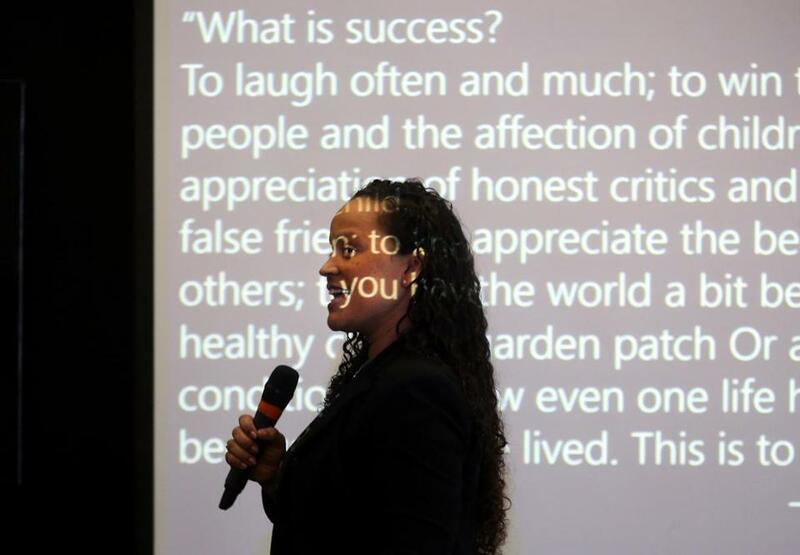 Innovating was how Adriana Mallozzi learned to interact with the world around her. Her occupational therapists introduced her to her first power wheelchair at age 9. By then she had already realized that assistive technology could help her live a more independent life. It would let her travel and create. Mallozzi, the CEO and founder of Puffin Innovations, a company that makes assistive technology for people with disabilities, spoke as part of a HUBweek panel in the Seaport Monday. Based at MassChallenge, a Boston-based startup accelerator, Puffin has created a Bluetooth-connected device that people with disabilities can control with their mouth, allowing them to greater access to computers and mobile phones. Mallozzi’s power chair is covered with unique technologies. Using pressurized air, she can open the door to her apartment by simply blowing on a tube connected to the remote control. She moves her chair by controlling a joystick with her mouth. Mallozzi and Puffin co-founder and COO Shana Penna hope to integrate artificial intelligence into their work so the technology can adapt to an individual’s needs. The fourth annual HUBweek began with a conference on building connections between people from different fields with one broad goal: change. “When we talk about innovation, we’re talking about making sure that we’re innovating to allow people with disabilities to participate in their communities, to be able to get employment,” Penna said. Noelle LaCharite, a principal program manager with Microsoft, talked about machine-learning, which can help developers to make technologies more accessible. She discussed, as an example, an application that could help the blind go running on their own. “The benefit of that is that we’re constantly pulling in people with these specific disabilities into our user research,” LaCharite said. In the past, people with disabilities were not user-research candidates, she said, but that is changing. The challenge Mallozzi and Penna confront every day is how to change minds. “While technology eliminates most physical barriers, there are . . . other major barriers that technology can’t really directly address,” Mallozzi said. “One of them is the stigma associated with disability, and people who don’t think that people like myself can be as capable as their able-bodied counterparts. How do we address that? Well, we start with events like this. Microsoft’s Noelle LaCharite spoke about machine-learning.